 Lutz has one of the largest Tax teams in Omaha and the surrounding areas. The size of our team allows for specialization, in-depth expertise and the ability to take the time to understand your everyday business practices and provide you a comprehensive business plan to meet your needs. The Lutz Tax team will work closely with you to help identify tax strategies that are critical to your continued success. Our Tax team has the capacity to handle any level of complexity for entities ranging from corporations to partnerships to individuals and a variety of industries. We can assist you with tax preparation, estate and succession planning, transactional consulting, state and local tax or employee benefit plan consulting. Our approach to tax planning and consulting allows us to adapt our full range of tax planning and preparation services to a variety of circumstances. Individuals and businesses require many tax solutions based on their financial goals and current financial situation. Our goal is to provide sound tax planning advice, maximize after tax cash flow and minimize overall tax burdens in order to prepare you for a more prosperous future. Estate planning for individuals involves decisions about the types of property to own, the form of ownership, taxation, life insurance and transitioning wealth through wills, trusts and gifts. For small business owners, the decisions involve the organization and operation of the business: from the succession plan to passing the business on to the next generation. The Lutz Tax team will assist you with preparing, developing and executing estate and succession strategies in line with your goals to ensure your financial future. Early stage tax planning is critical to transaction success. Our team will provide analysis and support for all types of business transactions including: acquisitions, mergers, joint ventures, equity investments and divestitures. We determine whether the transaction should be structured as a taxable or tax-free transaction or as purchase of assets or stock. Overall, the goal is to analyze all available business attributes to maximize their value and use. Today’s state and local tax environment presents businesses and individuals with increasingly complex and demanding challenges, as well as significant opportunities. The Lutz State and Local Tax (SALT) group helps businesses and individuals navigate the myriad of state and local tax challenges and opportunities. As one of the largest and most experienced group of dedicated SALT professionals in the region, our SALT experts will work closely with you to help you manage your state and local tax burden. Our goal is to familiarize our team with your business or personal situation so we can proactively help you to minimize state and local taxes, avoid unexpected liabilities, and take advantage of credit and incentive opportunities.